Wow, can a month ever pass by quickly! I also find it hard to believe that it’s already been nearly 5 months since I started This Online World. I’ve had issues in the past with giving up on side projects or hustles after the first few months, but I absolutely love writing content for this blog and interacting with everyone who reads! So, thank you to everyone who has stuck around, read articles, commented, subscribed, or even emailed me (I get lots of questions every week, and I love to help out when I can). I truly appreciate every single one of you, and I’m excited to continue creating content, learning, and sharing some neat tidbits of info with all of you! Now, I’m going to try to keep this monthly blog recap and income report brief since this month was relatively less dynamic than previous months. February blog growth and income report – $57.86 earned. March blog growth and income report – $96.50 earned. April blog growth and income report – $70 earned. Well, I knew it would happen eventually, but May was actually the first month in which I experienced a decrease in blogging traffic. However, all this does is increase my motivation to produce more content, promote This Online World, and grow. On the bright side, session duration is increasing and bounce rate is decreasing, so viewers are slightly more interested, it would seem! Organic traffic from Google keeps increasing every week, and I think this is the main metric I am interested in. Last month, I had a pretty awesome Quora Digest feature that was sent to 1 million readers, and I also spent a lot more time on Quora marketing in general. Considering I had less time for promotional efforts this month, I’m happy to have almost matched the traffic numbers from April! That being said, I realize I need to keep on pushing for growth if I want it to occur. So, what else did the month of April contain? I published 3 blog posts. I wrote an additional 8,666 words. I reached 40 email subscribers. I’m struggling to put out more than a post a week due to the start of work and summertime weather being a never-ending distraction, but that might not be the worst thing in the world. After all, I’d rather publish 3-4 posts a month that I’m satisfied with than 7 posts I hate. In any case, I definitely want to publish at least 4 blog posts for the month of June. Additionally, I also finished my long-awaited plan of writing a guide on how to start investing and a guide on how to start a blog, which is awesome! I also expanded my phone farming content with part 2 in my phone farming app guide, which seems to have already taken off well with Google. Google is a slow-rolling but beautiful creature. For all you aspiring bloggers or content creators out there, trust the process. 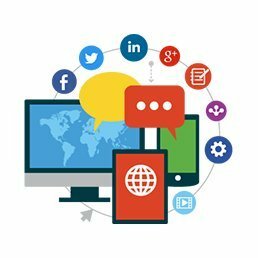 If you keep creating strong content, follow SEO best practices, and update your old content every now and again, your organic traffic will continue to increase over time. I’m still on the quest to reach 25,000 monthly sessions to add Mediavine to This Online World, but the month of May still had some interesting changes in the income department! Firstly, and quite sadly, I’ve actually put my dropshipping store on hold for the time being. Starting a dropshipping business and making a sale was great, but the time commitment and monthly Shopify fee are not feasible/worth it at this point in time. The entire experience was immensely valuable. 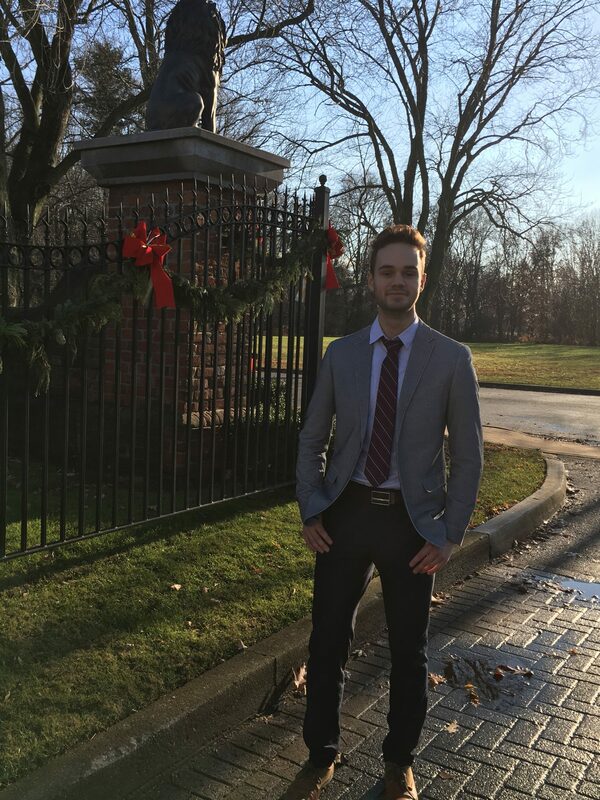 I learned about a different aspect of making money online, sourcing products, dealing with order fulfillment, and some new marketing ideas. I don’t think this will be my last foray into the world of dropshipping, but it might be for some time. I have boatloads of other exciting money making ideas for the future, but next time, I will make sure I’m not biting off more than I can chew for the time being. 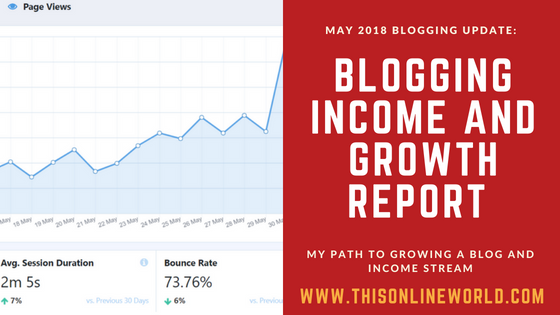 In any case, May was still a great month for blogging/passive income with earnings of approximately $105. Let’s break down the income report! You might have noticed This Online World has advertisements now. Yes, that’s right: I’ve sold my soul and am finally engaging in my wildest, capitalist/passive income dreams. Honestly, I’ve fought off the idea for a while. I told myself “no advertisements until Mediavine!” but that simply won’t last. I want to develop this blog into a viable income stream, and as long as advertisements don’t interfere with page speed or user experience too much, I think they’re alright. You can yell at me in the comments if you disagree with my choice, but I’m watching that bounce rate! So far, things seem fairly unaffected. So, how much money can you make with Google Adsense and Media.net? Unfortunately Google Adsense doesn’t allow me to share direct screenshots or anything ‘confidential’ that can break terms of service. According to Google, I had 14,663 impressions. Ultimately, my RPM was pretty much $2 when everything is said and done. If you’re a blogger with a large U.S./Canadian audience, you can probably expect something similar (or better, if you optimize ad unit placement). Alright, so what about Media.net? I’ve only been running Media.net advertisements on This Online World for 3 days, so unfortunately there isn’t a lot of data to work with. However, if can achieve slightly higher RPM rates than Adsense, perhaps I can start earning $50+ dollars per month in display advertising revenue. I’m excited for Media.net to start picking up speed because unlike Google Adsense, Media.net is a contextual ad network. In this sense, the ad blocks from Media.net will match the content of my blog rather than user browsing history or interest. Since I’m blogging about passive income, phone farming, and making money online, I’m hoping for some strong RPM rates once the ad units figure out the context of this blog! I don’t have much to report on this front, although it was my best phone farming month in quite some time. When I include some loose change from websites like Grindabuck, Ebates, or Drop, phone farming and random passive income made a bit over $50 this month! I think the increased phone farming earnings this month are mainly attributed to 2 factors. Firstly, discovering CashMagnet (which I’ve outlined in my phone farming apps part 2 post) has helped bolster my nighttime routine. Secondly, I’ve referred a few readers to Perk TV/App Trailers, and somehow I received a $5 bonus for doing so….so thank you! I’ve still been looking to find some good phone deals that are available in Canada, so hopefully I can expand my phone farming operation to 10 phones in the near future! Nothing crazy to report on this end either, but it was still a solid month in terms of my average earnings. I earned $5.56 from Amazon Affiliate fees for the month of May. For some reason, the number of clicks through my referral links have exploded. Personally, I have no idea why, although I suspect it was a bot or something meaningless. In any case, Amazon Affiliate is proving to be a pretty straightforward source of passive income at this point in time, which is nice! I will admit, I have spent a bit more time writing on Medium this past month in an attempt to boost my passive income from the platform and also tinker with the algorithm. After all, if you’ve read my post on how to make money by writing on Medium, you’ll know it isn’t a bad source of income for writers. What I’ve learned from making Clickbait for 2 years. 30 actionable ways to become a better person. Currently, I’m using Medium as an outlet to write more personal content/insights from the industry I work in (advertising). It’s been a lot of fun, and while I’m going to spend less time on Medium moving forwards, I think I’ll still aim to pump out a post or 2 a month if it doesn’t interfere with This Online World. By writing on Medium in May, I was able to earn an additional $29.54. If you are a blogger, I highly recommend syndicating your content with Medium. It might seem like a waste of time, or even harmful to divide your efforts between a personal blog and writing on Medium, but I argue it’s a long term play. 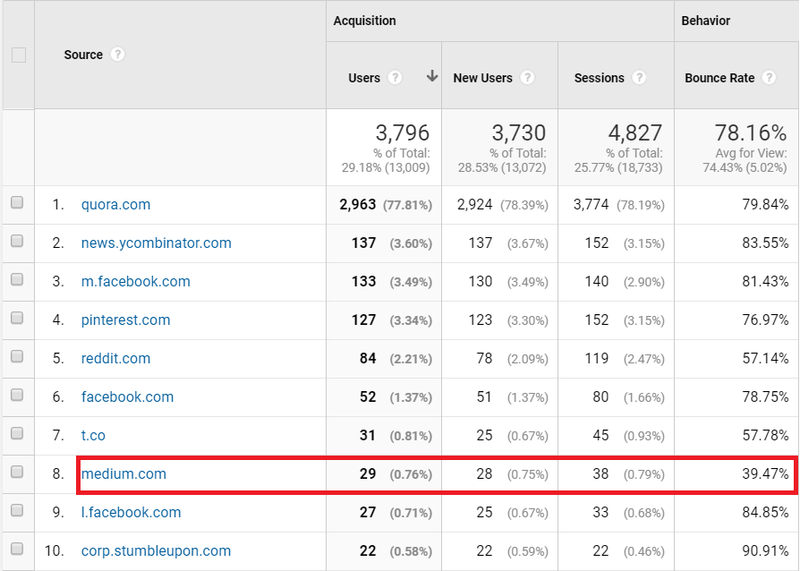 Look at that bounce rate! Granted, I haven’t referred many readers from Medium, but you get the picture. If you can simultaneously build an audience and generate income by writing on Medium, you can leverage that same audience to boost your blog traffic down the road. Personally, I think it’s a great idea to start writing on Medium today, especially if you are a blogger. Reach 15,000 page views. I won’t give up on this next milestone! Grow to 60 email subscribers. Try a new money making method. Search engine traffic is still growing, but I think I will have to step up my promotional efforts for the month of June to reach 15k views. I also have plans to write another interview for This Online World, so hopefully that can fall into place! That’s all for now, however. Thank you again to everyone who continues to read, subscribe, comment, or interact with this blog. You guys are great. Welcome to the blogging community and thank you for mentioning us! My name is Jenny and I am the Marketing Associate for Mediavine. Our goal is to help digital content creators passively monetize their awesome content through display ads, and we aim to do this with ease to the publishers and without slowing down their sites. As you said, our threshold to work with a site is 25k monthly sessions and we’re here to answer any questions at publishers@mediavine.com. Keep cranking out great content and you’ll be ready for us before you know it! Nice! I am here through Google looking for like minded people that try to make money online. Impressive referral traffic from Quora 🙂 I need to get the word out more as well. Just starting to earn a decent amount on AdSense. Good luck in upcoming months! Thank you so much for the information. I have learnt more. You have just encouraged me. I’m blogging, I juts opened my website two months ago but the traffic is a bit low. But through you, (I must admit) I have learnt a lot, both here and from Quora. This is very interesting! I just started a blog and have been blogging about passive ways to earn and how to save money. I like your ideas and I will need to check into some!